When I want to connect my external hard drive to my 15-inch MacBook Pro with touch bar, I can see the popup which asks me that wether I want to connect my hard drive to windows or Mac. But no matter which one I choose the computer could not recognize my external hard drive. On the other hand when I quit Parallels Desktop and try to reconnect my External Hard my MacBook Pro recognizes it comfortably. The issue you're having is that you're in the wrong settings. Instead of the USB preferences, you need to enable the SmartMount option. When you connect an external storage device, such as a USB drive, to your Mac, you can access the contents from Mac OS X applications. 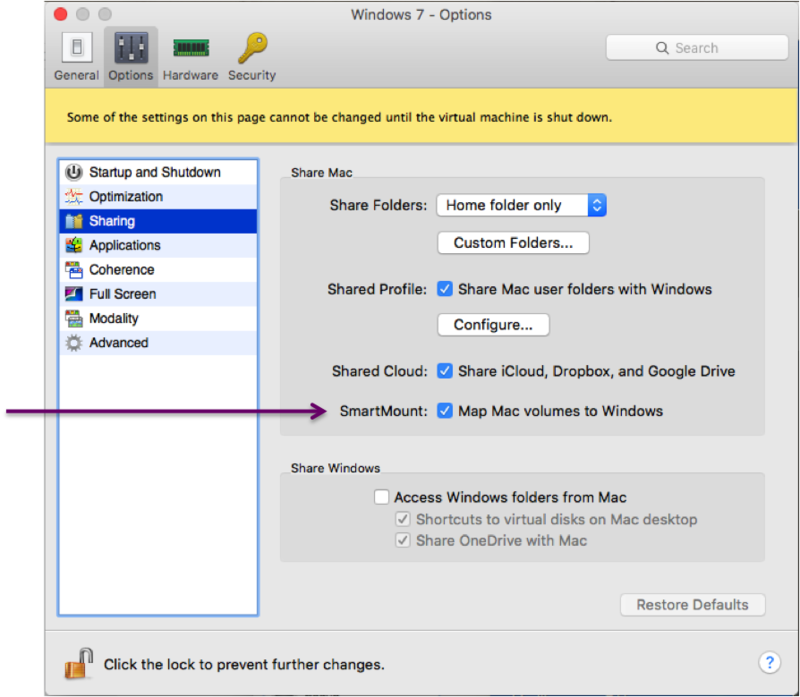 Using SmartMount, you can set Parallels Desktop to automatically mount storage devices and volumes to Windows. That way, you can access the contents from both Mac OS X and Windows. When you connect a storage device or volume, it is mounted as a network drive. For example, a USB flash drive plugged in to your Mac will be accessible from both the /Volumes folder in Mac OS X and My Computer in Windows. 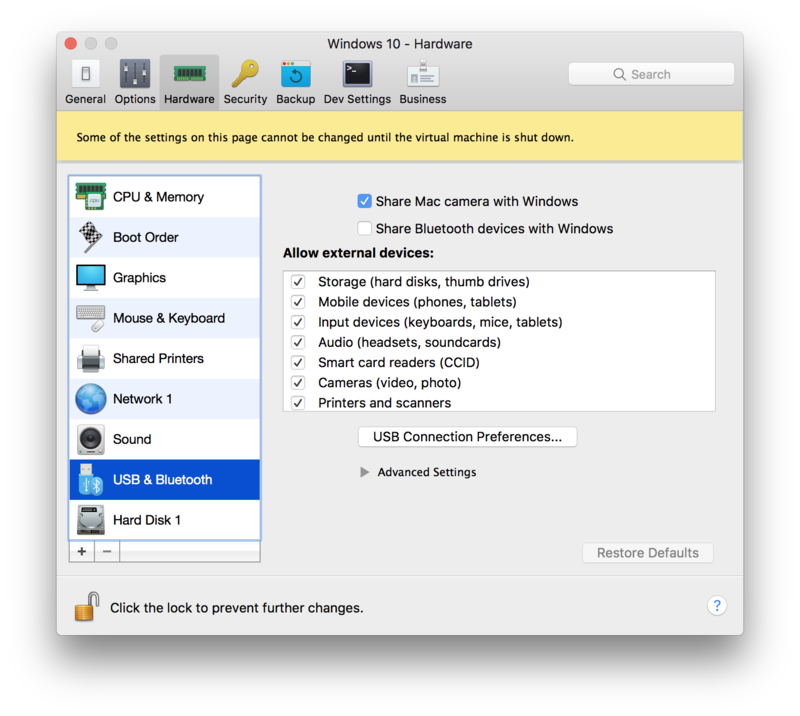 Note 1: Permissions for accessing mounted devices are shared between macOS and Windows. That is, if you can read from and write to a USB hard drive in macOS, you can also read from and write to the same USB hard drive in Windows. Note 2: One exception to Note 1 above is that macOS can't write to NTFS volumes without the installation of 3rd party software. Not the answer you're looking for? Browse other questions tagged macos macbook hard-drive external-disk parallels-desktop . How to connect an extra monitor and a thunderbolt (LaCie) harddrive on a MacBook Pro (13" mid 2012)?